24VDC Bright Plus Zigzag LED Strip Light is an angle bendable LED Strip for custom shape lighting applications. 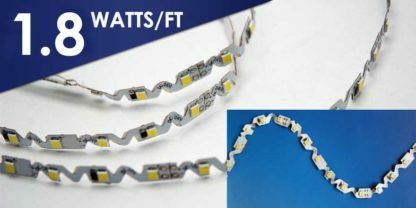 Unlike standard LED Strips, Zigzag LED Strip can bend on two axis allowing easy install when shaping to non-linear surfaces. Featuring, the new high power 2835 SMD LED that has a high lumen output of 100 lumens per watt. 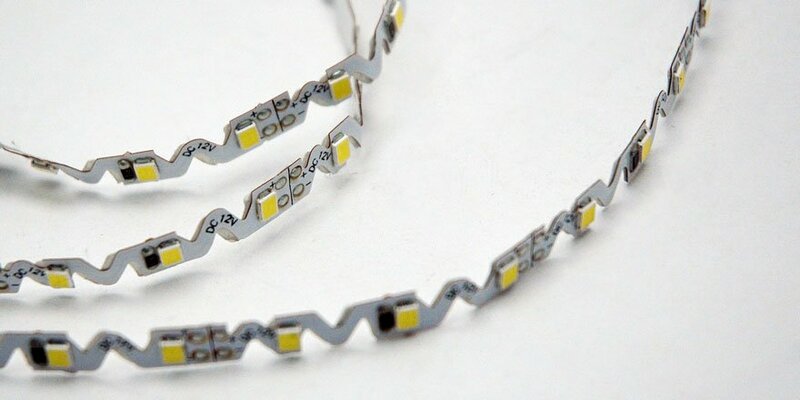 Cut-able LED strip at marked intervals (6 LED intervals at indicated cutting points). 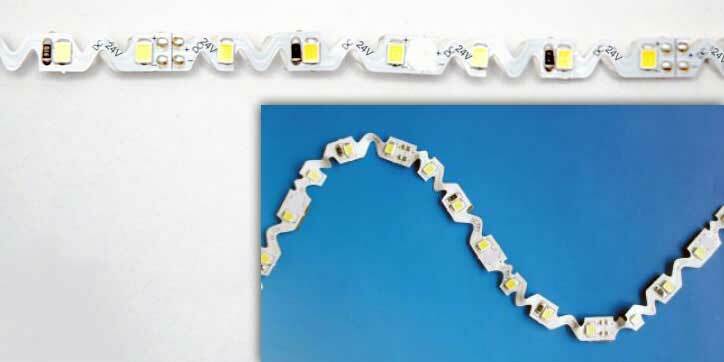 Zigzag LED Strip comes in 5 meter (16.4 feet) roll. It is suitable for dry locations. 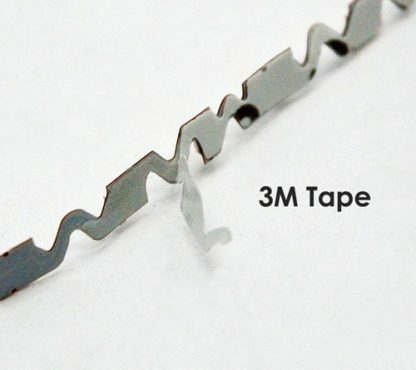 In addition LED Flex Strip Lighting has a 3M tape backing for easy installation. Furthermore, mountable onto most flat, clean dry surfaces free of burrows. All of our Flex Strips come with lead wires to be powered with our Class 2 power supply.